The fine young lady, Irene Lee Wan Chien, who is an ACCA top scorer. 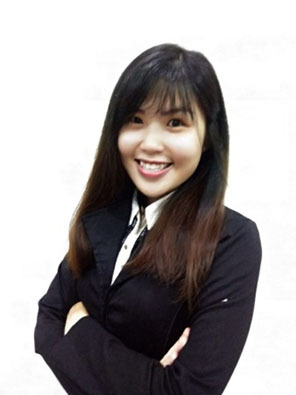 Irene Lee Wan Chien, a student of the Bachelor in Accounting (Hons) at TAR UC, has made the University College proud when she emerged as Top in Malaysia and 5th in the World for Paper P7 Advanced Audit and Assurance in the ACCA December 2017 examinations. This young lady certainly has steely determination that will inspire many having heard from her on the effort that she put into the preparation for the examination. She shared that she has a certain study method that she follows religiously to prepare her for the ACCA examination. “I summarise the notes given by my lecturers in my own words so as to ensure that I fully understand the topics. Besides that, my revision consists of practising on past year questions and as for those areas that I have difficulty with, I will attempt them again before the examination,” she said. This young lady has this piece of advice for those who wish to follow in her footsteps. “Never give up and stay motivated in order to pursue your success. That is the hardest part in obtaining the ACCA qualification. Failure is not the end. Remember, it does not matter how slowly you go, you will get there as long as you do not stop,” she added.